That statement couldn’t be further from the truth on Saturday night at Iowa Speedway as Jesse Little wheeled his No. 97 JJL Motorsports Ford F-150 to a career-best sixth place finish under scorching temperatures at the 0.875-mile short track. 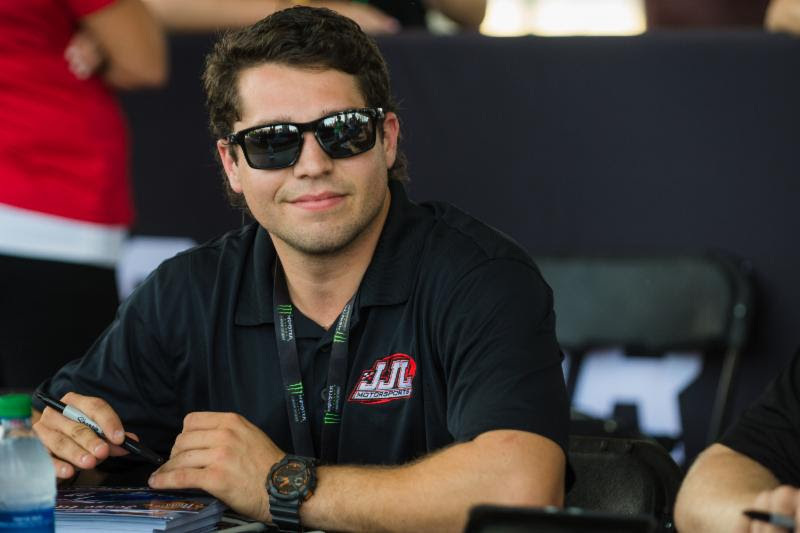 The one-day show for Little, crew chief Matt Noyce and the JJL Motorsports team didn’t start off as well as they had hoped. After struggling with the handling of their truck through the first and second practice sessions, Noyce and Little came together before qualifying prepared to make some radical changes hoping it would improve the performance of their blue oval. Making it through two of the three rounds of knockout qualifying, Little chimed in 13th quickest overall giving the team family-owned team a solid footing for the approaching 200-lap race. While the team continued to combat the handling of their No. 97 truck during the first two opening stages, the endless efforts from Noyce and Little behind the wheel paid dividends at the end of Stage 2 when Little stayed out and used track position to grab some stage points before setting up for the final 80-lap sprint to the finish. A bolting fast pit stop by Little’s team kept the NASCAR Next alumnus inside the top-10 during Stage 3 and despite battling a lack of grip, Little hovered inside the top-10 fending off the challengers behind him while chasing former series champion Johnny Sauter for fifth. Having to wrestle his truck in the closing laps with no grip, Little made significant gains on his distance from Sauter, but when the checkered flag waved – Little had to settle for sixth, a career-best in 17 Truck Series races. The finish is also a good boost for a two-race stretch for the Sherrills Ford, N.C.-native who will also compete next Saturday at Gateway (Ill.) Motorsports Park with backing from Rustic Rub. Co.
Little’s efforts on Saturday better a previous career-best eighth place performance at Atlanta (Ga.) Motor Speedway in February. Little notched his third top-10 in four races this year and recorded back-to-back top-10 runs at Iowa Speedway after finishing ninth in June 2017. "What a battle. "Everyone did their jobs. We stayed out of trouble and our pit stops were badass. Matt (Noyce, crew chief) did a good job with adjustments to our truck from start to finish. “Moving forward, we will work harder at getting better from the start so weren’t not so far behind and having to play catchup all weekend. I’m really proud of this team and our preparation for Gateway starts now.